The Jubilee Fountain is a large lighted fountain in the middle of Lost Lagoon in Stanley Park. UPDATE DECEMBER 2018: This week the city put up a christmas tree structure and lights on the fountain so it will be lit for this Christmas season. UPDATE JANUARY 2017: Due to the age of the fountain, the City of Vancouver is currently undertaking a structural analysis of the fountain. Depending on the outcome of the analysis, it will be determined what will be done to improve it. history of the fountain, when is it on?, when it is lit up? 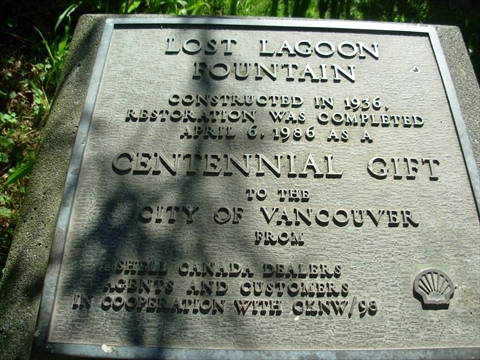 there was an urban legend that the fountain was purchased from the 1934 Chicago Worlds Fair, but this is untrue; lost lagoon was drained in order to construct the fountain. ;built in 1936 for $33,000. 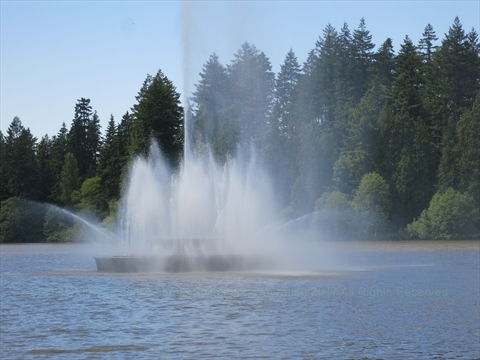 Where is the Jubilee Fountain in Lost Lagoon in Stanley Park? The Jubilee Fountain is located in the middle of Lost Lagoon in Stanley Park. It is near the Stanley Park Causeway. It is best viewed from the Lost Lagoon Lookout. Nearby is the duck pond.